It is no secret that network monitoring is vital for keeping an online service up and running. However, what is often overlooked is the importance of DNS monitoring. DNS monitoring is no less important than infrastructure monitoring. DNS monitoring allows you to see the quality of your connection between authoritative name servers and local recursive servers. Measuring the response time between these servers indicates the strength of your connection. Monitoring DNS servers allow you to check for signs of poor performance like latency or even outright disconnections. 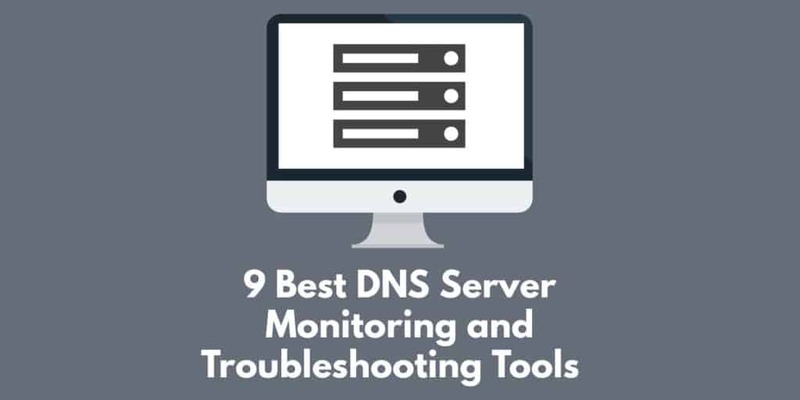 Using a DNS server monitoring tool will allow you to see when your connection is failing you and enable you to step in. In particular, a DNS server monitoring tool with an alerts function will notify you if your connection is performing poorly. This is very useful for cutting down your manual workload. In this article, we’re going to show you the best DNS server monitoring and troubleshooting tools on the market. 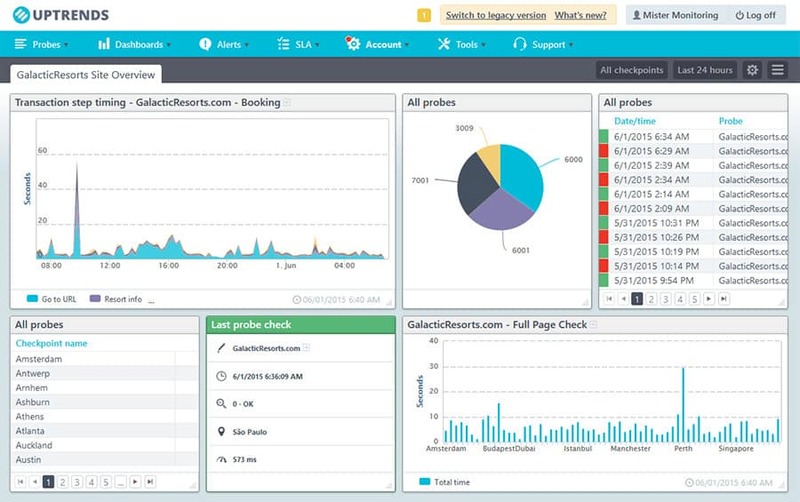 SolarWinds Server and Application Monitor which includes the DNS Monitoring and Server Performance Management tool is one of the most popular server monitors available right now, but it is also known to deliver a top-of-the-range DNS monitoring experience as well. SolarWinds Server and Application Monitor not only tests the performance of your connection but the health of your hardware as well. When testing your connection you can analyze how fast a DNS server responds to a record query. The program analyzes the speed by assessing how fast the server responds to a record query and compares the response against a list of IP addresses. If the response time is lagging behind other IP addresses then the program flags that there is a problem. You don’t have to do everything manually either as SolarWinds Server and Application Monitor will notify you when a DNS server receives an unusually high number of requests. This allows you to take action quickly even when you’re not at your desk. Hardware health is another area where SolarWinds Server and Application Monitor delivers a refreshing monitoring experience. You can view the health of servers based on elements such as status, CPU, battery, power, temperature, and fan speed. This is all color-coded so that if a server is experiencing difficulties it will be denoted with a Warning tag. Whether you’re an SME or a large organization, SolarWinds Server and Application Monitor is a program you should definitely consider. It mixes a simple user interface with some of the cleanest DNS monitoring abilities you’ll see. SolarWinds Server and Application Monitor is available from a starting price of $2,995 (£2,320). If you’d like to try the program out first you can do so by downloading the 30-day free trial. Anyone familiar with network monitoring is going to be familiar with Paessler’s PRTG Network Monitor, a tool that also provides a high-functioning DNS monitoring experience. The experience has been designed specifically to check the availability and performance of DNS servers. To make monitoring easier, PRTG Network Monitor has a dedicated DNS sensor and runs DNS monitoring automatically in the background. On the DNS sensor you can view an overview of your live or historic data. The DNS query response time is shown on a color-coded dial that is easy to read. Historic data can be viewed over the past 2 days, 30 days, or 365 days. The information included within the sensor provides you with the basics needed to assess what is going on and stay positioned appropriately. Keeping the user experience as convenient as possible, PRTG Network Monitor also comes with an alerts system. Users can receive alerts via email, SMS, or push notifications. This reduces the need to focus on the screen and try to catch every small change. PRTG Network Monitor will do this for you and much more accurately than you could ever achieve yourself. Overall PRTG Network Monitor is a product that is suitable for enterprises of all sizes that want a DNS monitoring experience with a premium user interface. This product works on a sensor-based pricing model. If you require less than 100 sensors then you can download PRTG for free. However, if you need more you’ll have to purchase 500 sensors for $1600 (£1,240). There are a number of other pricing options available until you reach the larger versions with 5000 sensors for $10500 (£8,138) and unlimited servers for $14500 (£11,239). You can evaluate PRTG Network Monitor on a 30-day FREE Trial. Dotcom-Monitor is a network monitoring tool that has made waves as one of the simplest DNS monitoring tools on the market. This program works by assessing request times and instantly responding with a DNS trace and an alert if a problem is found. The DNS trace shows the full path of the connection including details like Resolving Host, Duration, Start Time, Addresses and Aliases. If you’re not around to see this DNS trace first hand then you’ll still be able to receive the alert. The alert will show you what the problem is and provide you with links to view the trace straight from the alert window. This allows you to jump back into running damage control or changing configurations because you don’t need to waste time finding out what the problem was. One of the most impressive aspects of Dotcom-Monitor is how many different types of records are supported. A, AAAA, NS, CNAME, SOA, TXT, MX, PTR, and SPF are all record types supported by Dotcom-Monitor. The diversity of record types helps immensely when it comes to troubleshooting because you have much more information to work with. There are multiple pricing options available for Dotcom-Monitor. There are four basic packages available, each with their own individual pricing ranges based on check frequency, targets, pages, or steps. The most relevant basic package for DNS Monitoring is the Server Monitoring package. This starts with 10 targets and a 15-minute check frequency for $16 (£12.40) a month. You can customize your requirements as needed but for 50 targets with a five-minute check frequency, the price is $50 (£38.75) per month. Finally, 100 targets with a one-minute check frequency is $120 per month (£92.99). You can also download the 30-day free trial. Nagios XI is a name that is synonymous with the network monitoring industry that also provides a fully-featured DNS monitoring experience as well. With Nagios XI you can monitor DNS servers, protocols, and queries. The process of doing this is very easy as you’re supported with the DNS Query Nagios XI Monitoring Wizard. This helps to eliminate any ambiguity during your monitoring. The team behind Nagios XI have designed it to work well within fast-paced environments. In practice, this means near-immediate detection of network disruption and DNS hijacking. This gives you a mix of security and peace of mind because you can take action immediately to stop anything from adversely affecting your network performance. One of the reasons why Nagios XI is so well known is on account of its plugins. Thankfully there are a number of plugins available for DNS monitoring. These include plugins such as Check DNS Replacement, Check DNS via PowerShell, check_dnsbl (blacklist), and check_dyndns_logon. Check DNS Via PowerShell was designed to allow users to check DNS status conveniently by using a PowerShell script. Nagios XI is a program that delivers a DNS monitoring experience on par with any other tool on this list. It also carries a competitive price tag. Nagios XI starts from a price of $1,995 (£1,546) for the Standard Edition which includes configuration wizards, custom dashboards, and reporting. The next version is the Enterprise Edition which can be purchased for $3,495 (£2,708) which adds capacity planning reports and scheduled reports to the mix as well. We recommend you go with the standard edition unless you want to use Nagios XI for your wider network monitoring as well. There is also a 60-day free trial. ManageEngine Applications Manager is a product that has executed the DNS monitoring experience almost flawlessly. Whether you’re looking for performance or availability monitoring for your DNS service you can do it with this platform. 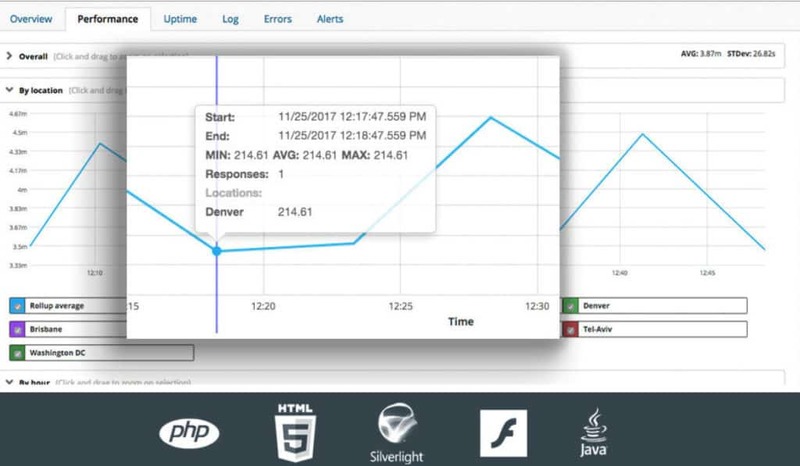 ManageEngine Applications Monitor provides you with metrics such as Response Time, Search Time, Record Available, Search Value Status, and Search field. This allows you to see the status of your DNS service loud and clear. All this information can be viewed with graphs and charts to provide further clarity. This is useful because if you’re dealing with a large volume of data, a graph helps you to pick up on the trends in a way that raw numbers don’t always do. ManageEngine Applications Manager has its own alerts system that notifies you when certain behavior is recognized. The alerts system is threshold-based and you can set thresholds for your alerts so that you receive a notification when a parameter has been reached. ManageEngine Applications Manager is available in three editions: Free, Professional, and Enterprise. The Free version allows you to monitor up to five apps or servers. If this isn’t enough then you can purchase the Professional Edition. The Professional Edition starts at a price of $945 (£732) for 25 monitors and ends with 250 monitors for $7,195 (£5,576) on an annual subscription. The Enterprise Edition includes even more monitors ranging from $9,595 (£7,436) for 250 monitors to $83,995 (£65,099) for 5000 monitors. There is also a free trial available. UpTrends is a free DNS lookup tool that offers an excellent and cost effective DNS monitoring experience. With UpTrends you can monitor key records such as A, AAAA, SOA, TXT, and MX. This platform also enables worldwide tests as the company has 184 regional checkpoints distributed throughout the globe. The advantage of this approach is that it identifies any regional problems before they make their way through your network. However, this tool is far from limited to the basic records. UpTrend also monitors SOA serial numbers to see when a DNS entry changes. This allows you to spot subtler changes that you’d miss if you were just checking the alphabet records. This tool doesn’t scrimp on additional features like reports and alerts either. You can receive daily reports showing the status of your DNS service helping you to see if there are any problems. Similarly, alerts keep you notified in the event that something problematic is happening that needs you to take action. For a free tool, UpTrends provides a sophisticated DNS monitoring experience. It is no surprise that names as grand as Microsoft, HP and Volkswagen are making use of this product. Visit UpTrends to download. 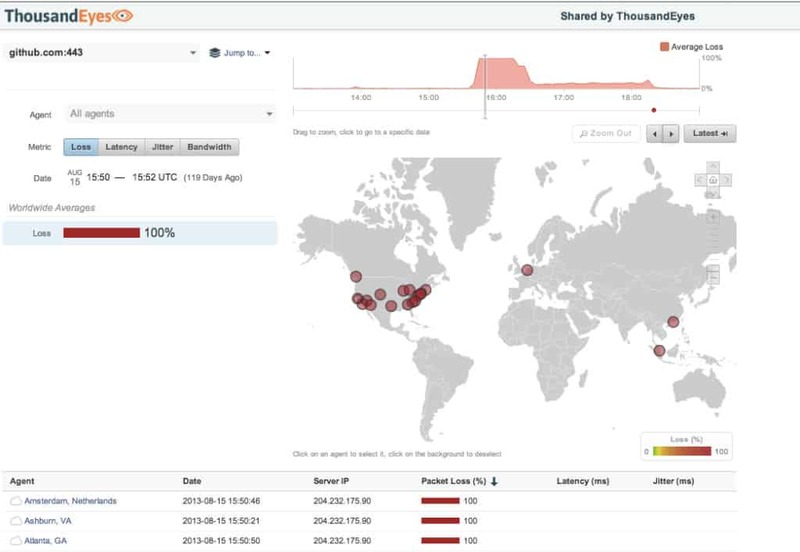 The mysteriously-named ThousandEyes is another product that gets DNS monitoring right. ThousandEyes has been designed with the principle of transparency kept firmly in mind. You can monitor everything from DNS caching servers to external providers. 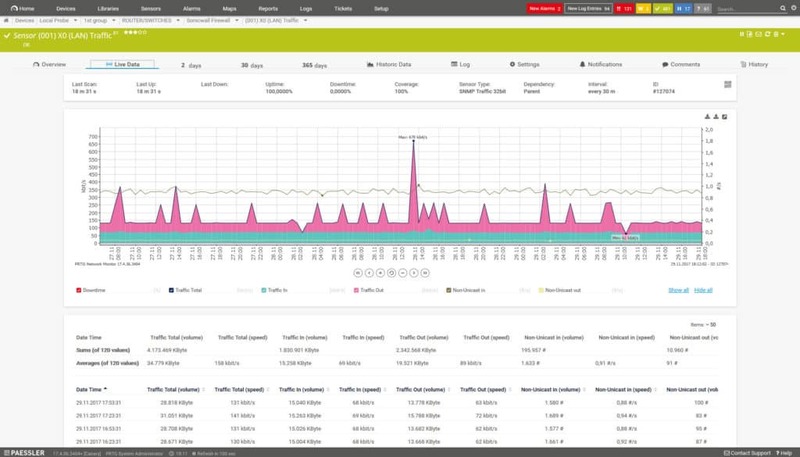 You can check the availability and resolution time of connected servers to assess the performance of your network. ThousandEyes has gone to great efforts to make the software as accessible to new users as possible. This is seen immediately through the onboard autodiscovery feature which links up to connected servers without the need for complex configurations. In addition, ThousandEyes also has its own alerts system to keep you up-to-date on all current developments. You can generate alerts on the availability of your DNS and Record mappings. These alerts are customizable based on what you want to screen for and you can also export alerts as the need arises. This allows you to pass on alert information to other members of your team. ThousandEyes operates a usage-based pricing structure based on three factors: Test Units, Endpoints, and Devices. For DNS monitoring, the Test Units package makes the most sense. 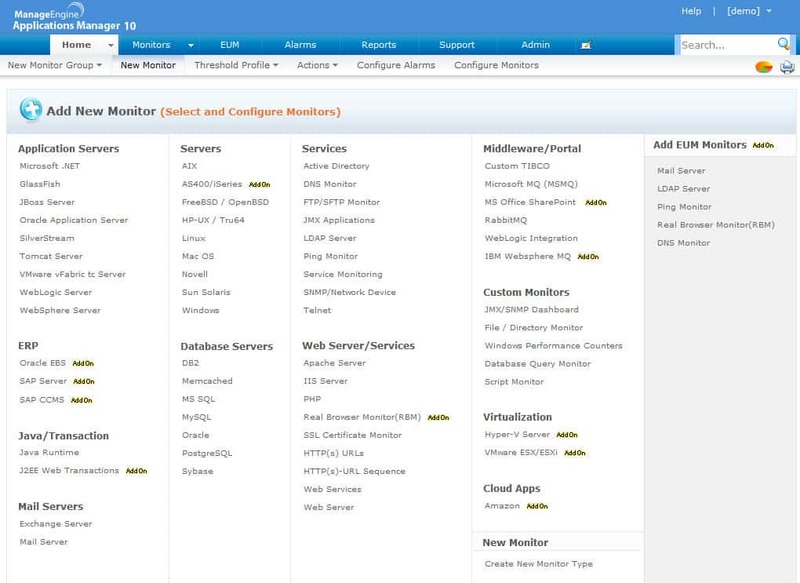 This provides you with a monitoring experience delivered from cloud and enterprise agents. However, you’ll need to request a quote in order to see a price tag. Alternatively, you can download a free trial. AppDynamics is one of the most popular infrastructure monitoring platforms that money can buy right now. You can view a variety of servers to view for performance issues. The server monitoring has been set up so that you can start monitoring in a matter of minutes. The positive here is that you don’t have to spend time entering your own configurations before you can start. This tool is convenient to use for server monitoring because it utilizes a hierarchical overview. The overview shows you all connected servers detailing server health. This allows you to assess the health of services at a glance. 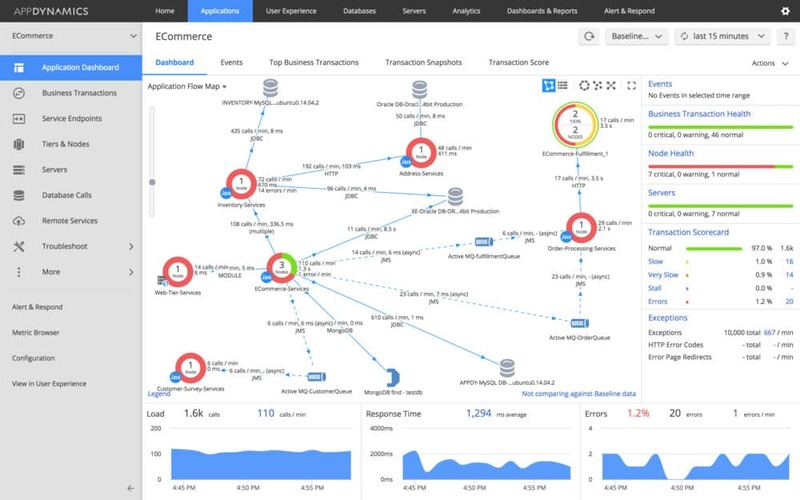 In the event that a performance issue is recognized, AppDynamics allows you to configure automated responses to address performance issues in their infancy. 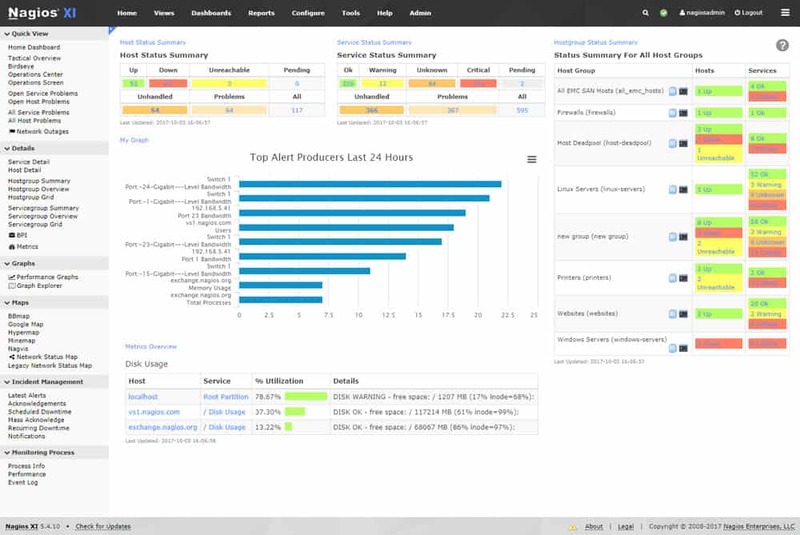 There are event alerts systems such as ServiceNow, PagerDuty, and JIRA integrated on board. Overall, this is a product that is customizable in line with your needs. The user interface is one of the most scalable of its kind. The ability to view your infrastructure with such clarity allows you to develop a clear impression of what is going on almost instantaneously. You need to contact AppDynamics in order to view a price tag, or you can download and trial the software. 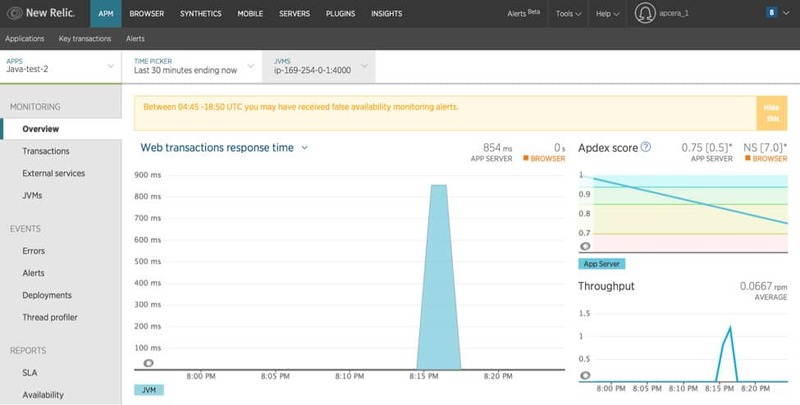 NewRelic Application Performance Monitoring offers a compelling DNS monitoring experience from start to finish. With this DNS monitor, you can analyze the response time of your infrastructure to assess how well the service is performing. This information is rendered in a clear and color-coded graph that makes things easy to read. You can run regular DNS health checks to make sure that response times aren’t too high. There is also a flexible alerting system that is completely customizable. You can set your own thresholds for alerts that determine what behavior you receive an alert for. The result is an experience that incorporates automation and reduces your administrative burdens. The pricing structure of NewRelic Application Performance Monitoring is quite complex. The price you pay is impacted by your instance size, runtime, quantity, and the cloud services you want such as AWS, Google, Microsoft and Rackspace. There is also a free trial. As you can see, all of the tools above can hold their own within a large enterprise environment. Based on the quality of the design and the depth of its DNS monitoring features, PRTG Network Monitor stands out as one of the best products on this list. It combines concise visual displays with a dedicated DNS sensor and an alerts system that keeps you in the loop round the clock. However, if this doesn’t quite line up with your needs we’ve provided you with plenty of alternative tools to sink your teeth into. The most important thing is to pick a platform that aligns with your organizations needs and your personal preferences. 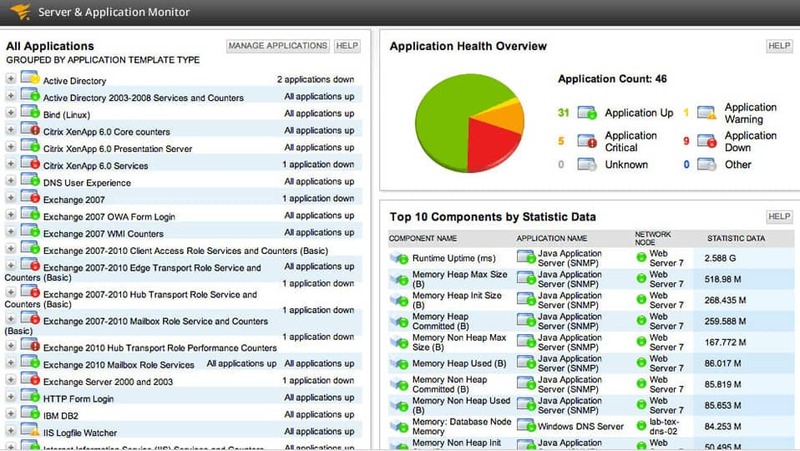 Another great choice is SolarWinds Server and Application Monitor. This product is excellent because allows you to keep track of requests and response times to view performance with ease.